 The three winners will receive financial assistance along with management and technical support from Orange specialists. The first prize winner will also benefit from a patent application. This prize, which has enjoyed considerable success since its launch in 2011, aims to support the development of entrepreneurs and start-ups offering solutions that use information and communication technologies (ICT) to meet the needs of people living in Africa. Over 450 candidates responded to the call for projects, which ran from May to September 2013, clearly demonstrating the underlying entrepreneurial vitality that exists on the African continent. Proposed projects spanned a variety of fields such as healthcare, agriculture, education, energy, industry and commerce illustrating the high potential of telecommunications for development in Africa. The panel of judges, consisting of Orange specialists, the media and institutions that promote development, chose three prizewinners from among 12 nominated projects that were presented on Orange's pan-African web portal, www.starafrica.com.  The first prize was awarded to QuickDo, a startup founded in 2011 by a French–Cameroonian entrepreneur. The company provides readers in Cameroon with affordable access to books in digital format, providing them with a complete ecosystem developed by QuickDo and its partners (including the distribution server, the e-book readers and the network). Based on a responsible and sustainable approach, it provides an all-in-one solution for local publishers, readers and institutions such as universities, libraries and cultural centers.  The Ivoire Job project was awarded second prize. This project aims to facilitate access to employment opportunities in Côte d'Ivoire through an online platform that is also compatible with mobile devices through an SMS-based system. The portal provides a forum that facilitates discussion and sharing of experiences between young job seekers, workers and recruitment agencies.  The third prize was awarded to the Tunisian company Chifco, which offers a system for saving energy when using high-consumption devices both at home or in a workplace environment. The system aims to reduce spending on energy by remotely monitoring and controlling the use of such devices in real time. By tracking data such as production rates or the weather, users can reduce energy consumption. In addition to funding of up to 25,000 euros, Orange will provide support to the three projects for six months through its local subsidiaries as well as expert advice from business and telecoms professionals. This year, for the first time, Orange will also provide a patent application for the first prize winner in the country of deployment. Finally, a "favourite project" was also selected by visitors of the Group's web portal StarAfrica. Over 24,000 visitors voted for the Kenyan project "Dukalangu". This online shop offers customers a wide range of products at competitive prices. The site also provides Kenyan entrepreneurs and designers with an excellent development opportunity by enabling them to market and sell their products online. - contributing to the local development of ICT markets and innovation ecosystems. See the presentation of the competition on www.starafrica.com. StarAfrica.com is Orange's pan-African web portal, which combines content from all sub-Saharan countries in its six channels – news, soccer, more sports, music, education and jobs – with a special focus on young talent. The portal is also the online store that provides expatriate communities with access to innovative communications services that allows them to stay in touch with their contacts. Orange (http://www.orange.com) is one of the world's leading telecommunications operators with sales of 43.5 billion euros in 2012 and has 166,000 employees worldwide at 30 September 2013, including 102,000 employees in France. Present in 32 countries, the Group has a total customer base of more than 232 million customers at 30 September 2013, including 175 million mobile customers and 15 million fixed broadband customers worldwide. 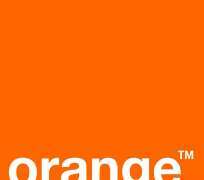 Orange is also a leading provider of global IT and telecommunication services to multinational companies, under the brand Orange Business Services. For more information on the internet and on your mobile: www.orange.com, www.orange-business.com, www.orange-innovation.tv or to follow us on Twitter: @orangegrouppr.